Thousands of products from the offer of nearly 30 most important housing manufacturers in one publication. 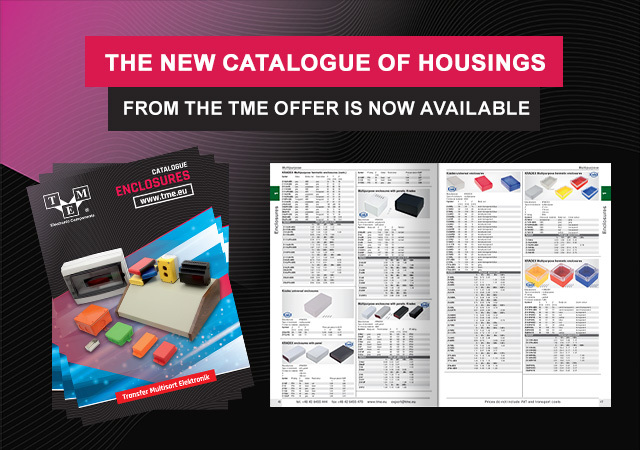 This is how the latest TME catalogue presents itself, in which you will find information on the available components, including their size, colour, sealing class and prices. Among the products described are universal housings, housings for devices with displays, panel, wall, shielding or electrical installation housings, as well as those intended for remote controllers, power supplies, embedded systems or for a DIN rail.